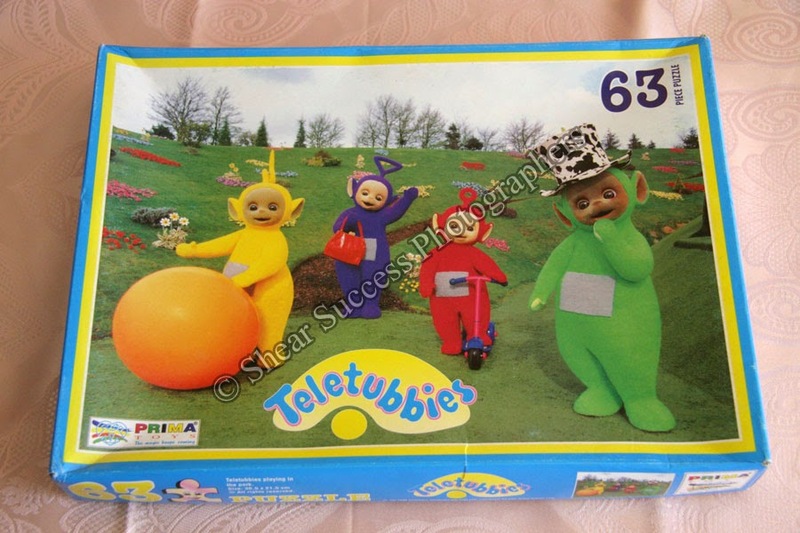 This happy, colourful jigsaw puzzle is of the Teletubbies. It has 63 pieces and is made from wood. The puzzle provides much opportunity for children to learn and discuss, colours, words related to outdoors, gardens, nature. The yellow Teletubby has a physioball and the red Teletubby has a scooter; as a result it has potential for children requiring occupational therapy to discuss their therapy needs and process by talking about the Teletubbies. Building jigsaw puzzles is good for visual perception, visual memory, form constancy and more. Your child can also learn patience, concentration and a skill to be able to play independently. As you can see, there is much to gain from your child building puzzles. If you would like to purchase this jigsaw puzzle, you will find it on our website. Click on the link and you are welcome to purchase it.